Ducted vacuum cleaners bring a wide range of benefits to the user, as they can be quieter and more powerful than a standard portable vacuum cleaner. Ducted vacuum systems are designed so that they have a large central unit that is fixed in place within the house, usually in the garage or in an out-of-the-way place. Several vacuum hose outlets are installed around the home at various points, each one connected to the central ducted vacuum unit. When it’s time to vacuum, the user connects the vacuum hose to the nearest hose outlet, turns the unit on and then proceeds to vacuum. When this area is clean, the user simply disconnects the hose and switches to the next hose outlet to continue vacuuming. Ducted vacuum hoses are usually longer than standard vacuum hoses, because the user doesn’t need to carry around the entire vacuum unit with them, they just need to pull the hose around – and this is usually very light. Ducted vacuum cleaners generally have much larger capacity dust bags than traditional barrel or upright vacuum cleaners as they don’t need to be carried around so weight or size of the dust bag is not an issue. 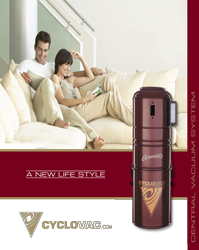 These ducted vacuum systems are generally quieter too, because the motor of the vacuum unit is a long way away from the area that is actually being vacuumed – this means you can vacuum while others carry on with their activities nearby, and is also good for vacuuming when people are sleeping. Auspro security can assist with installing your ducted vacuum system, that fits your needs.